Scout is the libraries' main discovery tool, meaning that we bring together a significant amount of library resources (not all though!) for easy ​searching and retrieval from a single search box. Limit your results by additional source types, subjects, publications, and more. 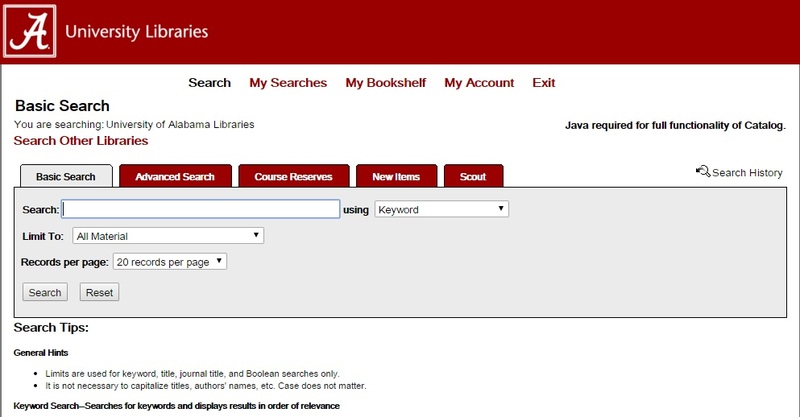 The Libraries' Catalog (Classic Catalog) provides access to all of the material holdings we have at UA Libraries. Search for books, journal titles, government documents, maps, sheet music, video, audio recordings, and more. Available e-books and e-journals make up the Libraries' e-resources. Run a search for library equipment, software, or find information about library services (study rooms, practice presentation rooms, etc.). 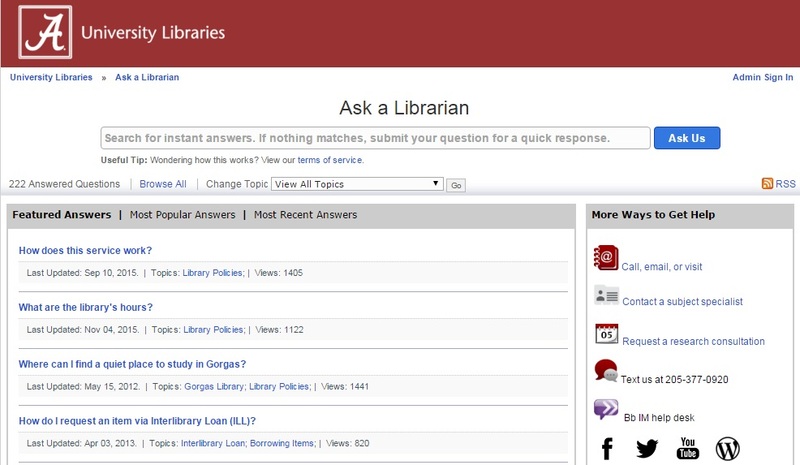 "How do I request an item via Interlibrary Loan (ILL)? Runs a keyword search and matches an index that is specific to only the Frequently Asked Questions content. 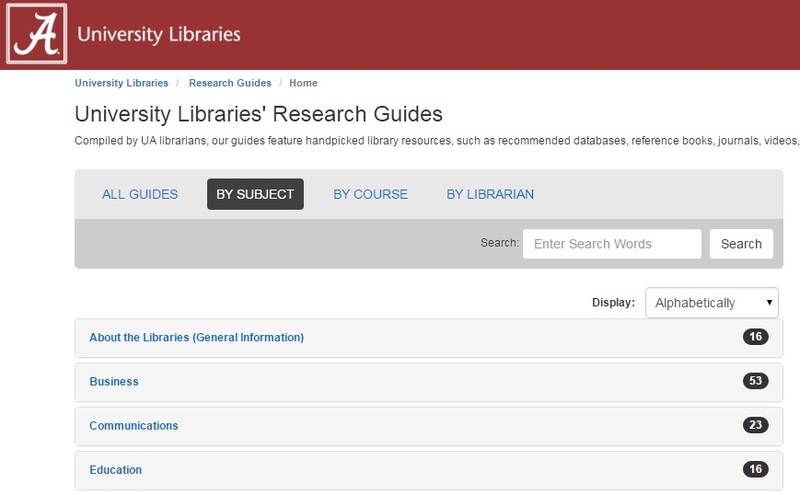 Research guides are a great starting point for your library research. 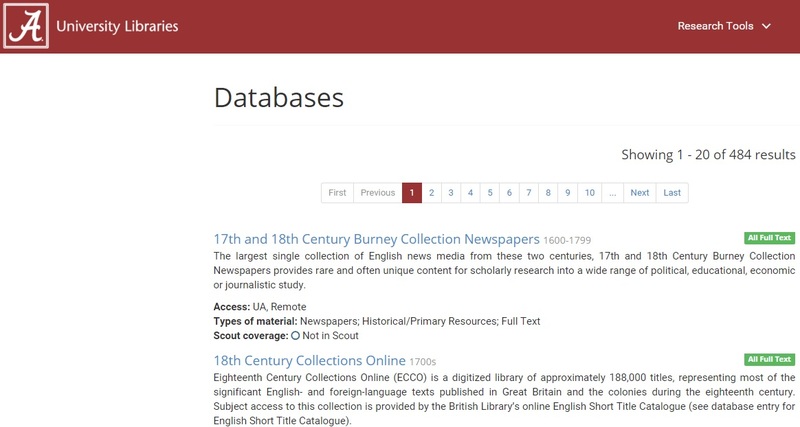 Guides contain library resources (databases, journals, etc.) and non-library resources (websites, films, etc.) for different subjects or classes. 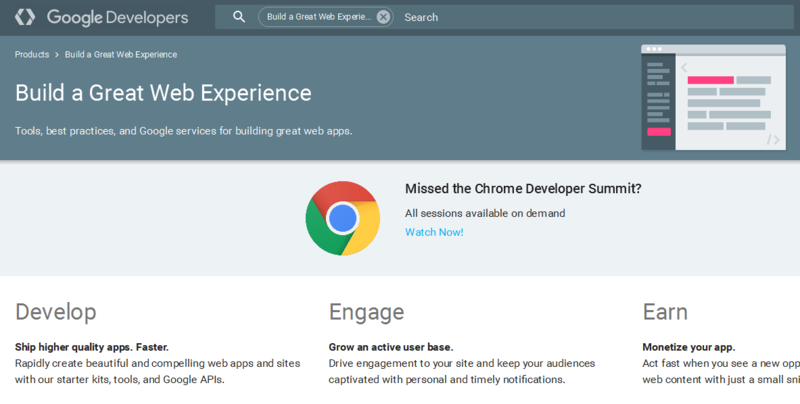 With the Google API, OneSearch matches an index that is specific to Research Guides only. Helpful when looking for (or matching) course-specific resources as well as searching general subject research guides. Guides also point you towards a subject expert, citation help, and research tips. 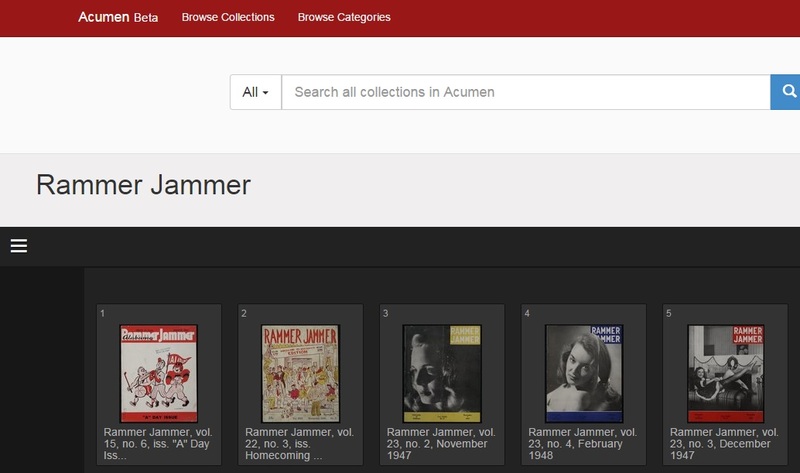 Acumen is our digital archives explorer. In digital archives you can find historical records, maps, letters, yearbooks, magazines, photographs, drawings, UA theses and dissertations and so much more, all available for you to digitally explore. Runs a keyword search through titles and item descriptions. Browse collections alphabetically or by subject category, such as People, Art and Culture, Education, etc.